In We Should All be Feminists, her eloquently argued and much admired essay of 2014, Chimamanda Ngozi Adichie proposed that if we want a fairer world we need to raise our sons and daughters differently. 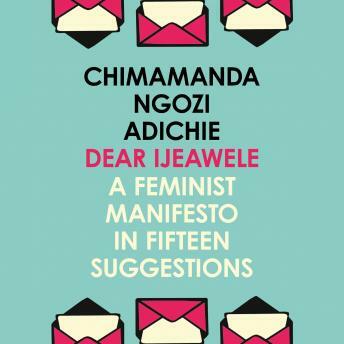 Here, in this remarkable new book, Adichie replies by letter to a friend's request for help on how to bring up her newborn baby girl as a feminist. With its fifteen pieces of practical advice it goes right to the heart of sexual politics in the twenty-first century.